Canuts is a name that evokes immediately one of the most prestigious fabrics, silk! Canuts were the silk-weavers who worked and lived in the Quartier de la Croix-Rousse in Lyon, the city where the French silk industry was born. The origin of the name is unsure, but the most likely assumption is that Canuts evolved from the word canette (bobbin thread). How did Lyon become the French capital of silk? Silk weaving appeared in Lyon in 1536, under the reign of François I, the great patron of the French Renaissance. Among the many Italians who settled then in the city, were two silk merchants from Piedmont. Turquet and Naris opened the first silk weaving workshop that produced the marvelous 'cloth of gold, silver and silk'. Many followed, and triggered Lyon's unprecedented demographic expansion. Indeed, the population jumped from 30,000 to 100,000 inhabitants within a few decades. A manufacture was soon founded in order to regulate the production of silk (considered a precious material) and therefore prevent fraud. La Grande Fabrique, as it was known, regrouped the Canuts and the Soyeux. The master-weavers or Canuts wove the silk on their own looms; the merchants-manufacturers or Soyeux provided them the patterns and distributed the fabrics. The Canuts' workshops were in the old town and La Presqu'île districts, while the Soyeux' were based in the Quartier des Terreaux. Technical improvements and gifted craftsmen ensured the quality and reputation of Lyon silk-weaving industry throughout the 17th and 18th centuries. 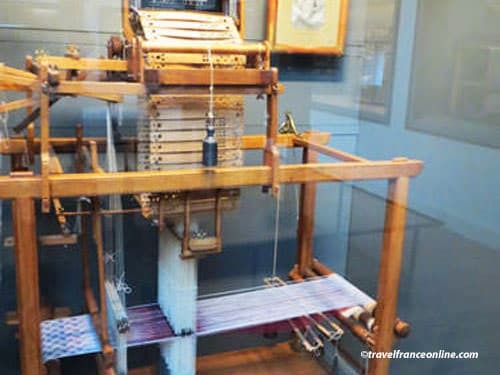 Firstly, in 1610 the master-weaver Claude Dangon improved the Italian loom métier à la grande tire - trade-pocketing loom that allowed the weaving of patterned fabrics. Secondly, 80 gifted pattern-designers such as Revel, Pillement and Philippe de Lassalle produced exceptional designs. 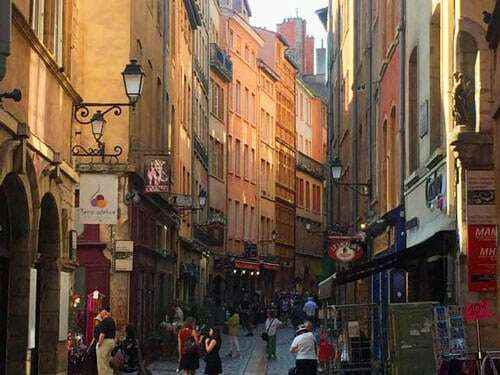 As a result, Lyon was ranked among the best European silk-weaving capitals. The French Revolution sadly triggered the decline of this prosperous era. Indeed, the nobility and the clergy were no more there to place orders, and many silk-weavers emigrated to Switzerland or Germany. 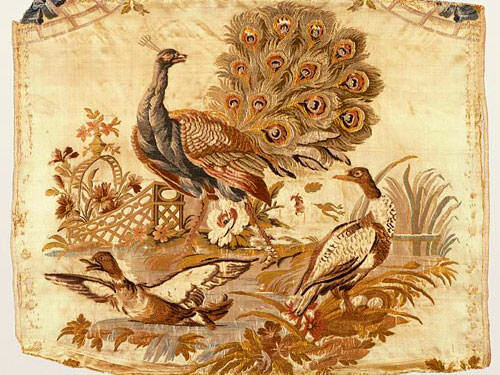 However, Napoleon I contributed to the revival of the industry when he commissioned the creation of new fabrics in order to decorate his palaces and clothe his court. 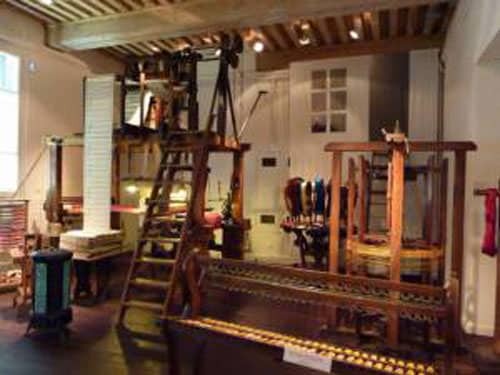 This was when (1801) Joseph-Marie Jacquard invented a new type of loom that revolutionized silk weaving. The Jacquard loom is indeed equipped with a mechanism that selects warp son using a program registered on punch cards. As a result, one worker alone could operate the loom. This technical innovation largely contributed to relaunch the silk industry. It also obviously provided work to the Canuts of Lyon. However, the old workshops were obsolete and unsuited to operate these new looms. The Canuts needed additional space! They thus moved to La Croix-Rousse, a hitherto rural hilly area. La Croix-Rousse had the advantage of being closer to the Quartier des Terreaux where most merchants-manufacturers were based. The Canuts' new workshops were also more spacious (with 4m high ceilings) and lighter (large windows). Finally, the last incentive was that La Croix-Rousse was exempt from the city tax, as it was then located outside the city. La Croix-Rousse became the silk workers' district, the Quartier des Canuts. The Canuts worked and lived there, and gave the neighborhood its identity. However, working conditions were harsh with long hours and poor pay. These triggered the weavers' revolts of 1831, 1834 and 1848, which are known as Révolte des Canuts. La Croix-Rousse became a district of Lyon in 1852. This led to better working conditions and the continuity of the silk industry. Indeed, the district was supplied with water and gas and a series of funiculars installed to link the various areas. The number of silk merchants then rose from 300 to 400. Most inhabitants of La Croix-Rousse were Canuts who weaved on one of the city's 15,000 looms. La Croix-Rousse's population increased eight-fold during the 19th century, and turned Lyon into the first industrial city of France. Indeed, from 3500 looms for 6000 inhabitants in 1805, the district passed to 40,000 looms for 45,000 inhabitants in 1890. Lyon was the undisputed French capital of silk; it exported 40% of its production to England and 25% to the United States of America. By the end of the 19th century, the Canuts of Lyon essentially produced high quality fabrics. They left the weaving of ordinary fabrics to the less skilled weavers installed in the surrounding rural area. Finally, mechanisation sounded the death knell of the silk industry in the early 20th century. Indeed, the number of mechanized looms went from 500 to 1300 between 1900 and 1920! A few traditional looms still remain today, but they exclusively weaved for the French museums' collections and for prestigious orders. Lyon has, however, retained a vast cultural and architectural heritage from the 'Canuts era'. 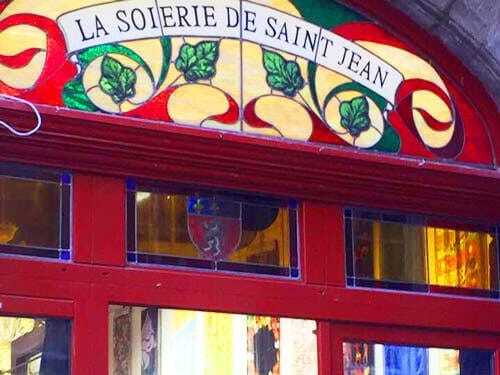 A visit to La Soierie Vivante is therefore compulsory when visiting Lyon! It is run by the city's only heritage preservation association of silk-weaving industry. 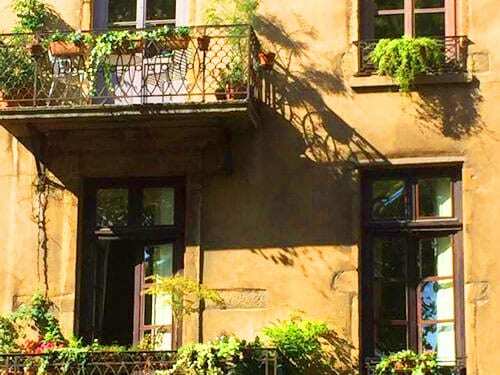 You'll discover Lyon's last two silk-weaving workshops with their Canuts' lodgings, and will learn about the fascinating history of this industry. Finally, you'll find the memorial of Josep-Marie Jacquard on the Place de la Croix-Rousse. Les Grottes de Perrier - Village des Roches, the largest troglodyte site in Auvergne, lies in the heart of the Auvergne volcanoes region.